The "Sincerity Ace" was further towed to Matsuura Port in Japan and berthed there on March 22. All vehicles and cargo was still on board. The shipowners were yet to decide as to where and how to dispose of the wreck and cargo. The "Sincerity Ace" was towed into the Shibushi Bay, southeast Kyushu, in the morning Jan 30, by the salvage tug "Koyo Maru" (IMO: 9162148). The vessel will undergo temporary repair works to stop the sea water ingress and its listing. After completing the maintenance, the vessel will continue its towage to Mokpo. The shipowners have declared General Average. On Jan 9 the at 2 a.m. "Sincerity Ace" was taken in tow by the tug "Koyo Maru" (IMO: 9162148), in position 24 43 N 171 10 E, 1720 miles off Japan in the North Pacific. The heavily damaged car carrier was to be towed to Japan. Before, the tug looked around for the one still missing crew member. Of the 20 other men, 16 were rescued and four died. 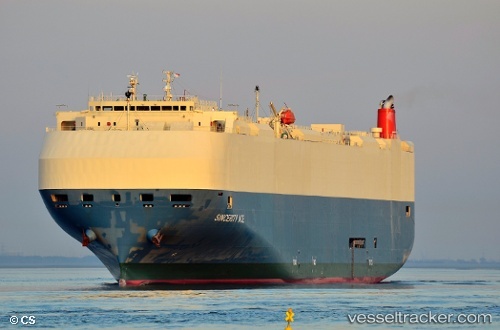 The "Sincerity Ace" was being towed towards the port of Busan with an ETA as of Jan 30.